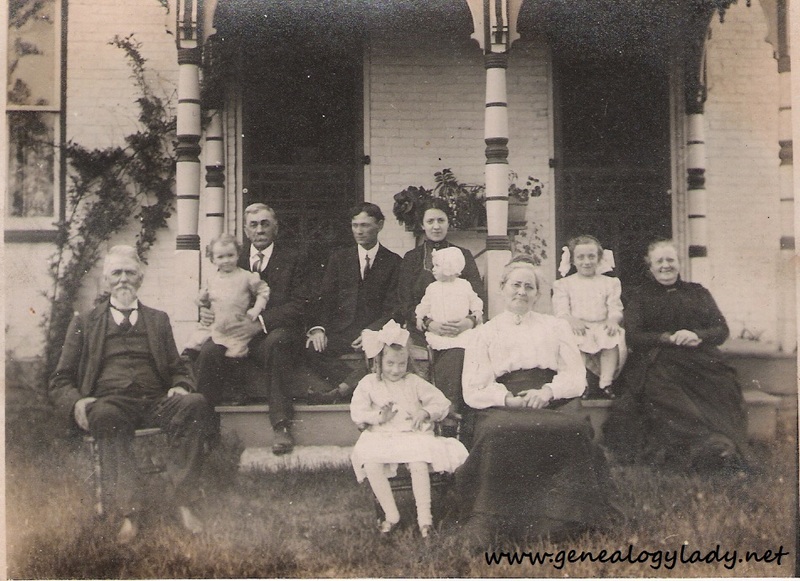 This entry was posted in Genealogy, Lena's Postcards and tagged Balzora Scofield, Clara (Kerschner) Strong, Esther Strong, Franklin Scofield, John Wesley Hackleman, Laura (Gifford) Scofield, Lena (Scofield) Hackleman on April 16, 2015 by Deborah Sweeney. Lena (Scofield) Hackleman was my other Indiana grandfather’s great aunt. Lena married late in life so she never had her own children. However, she married a man with six sons, the youngest of whom was six when his father remarried. Lena also had many nephews and nieces. The extended family corresponded regularly. When Lena died in 1935, her niece Ina (Kerschner) McGraw inherited many of the old family papers. Ina was my great grandmother. This branch of my family was among the early settlers of Fayette County, Indiana. This collection contains over 100 postcards which were sent to Lena and her husband, John Wesley Hackleman. This is where you get off when you come to Appleton. All are well. This entry was posted in Genealogy, Lena's Postcards and tagged Appleton, Charles McGraw, Connersville, Daniel Kerschner, Ella (Scofield) Kerschner, Esther Strong, Eugene O. McGraw, Fayette County, Ina (Kerschner) McGraw, Indiana, John Carl Hackleman, John Wesley Hackleman, Lena (Scofield) Hackleman, Norma Strong, Oliver McGraw, Wisconsin on March 5, 2015 by Deborah Sweeney.